A two story traditional Dorm style building that was originally used as a dormitory for the Abbey School. There are 46 rooms each with 2 single beds & 1 room with 1 single bed. 3 rooms with 2 single beds & a shower in each room. 4 Prefect rooms each of these rooms have a private bath & sleep 2. There are a total of 53 rooms with a sleeping capacity of 105. All rooms have a basic dorm room set up with 2 twin beds, 2 desks, 2 closets, a sink and locking door. There are 4 shared restroom/shower facilities each with 4 showers, 1 tub, 3 stalls & sinks. 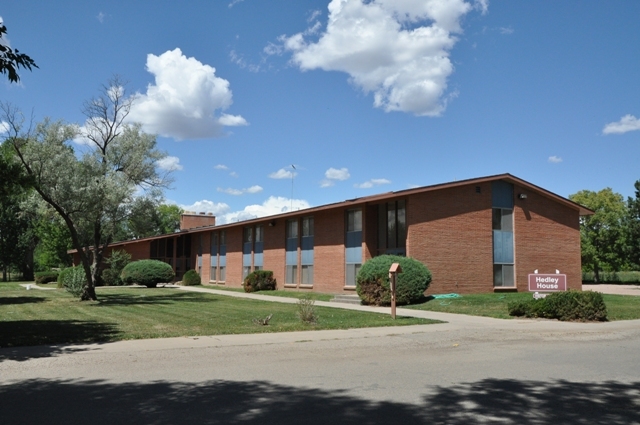 The dorm features include: 2 TV lounges/common areas with cable TV, 2 conference rooms, a kitchen & wireless internet. 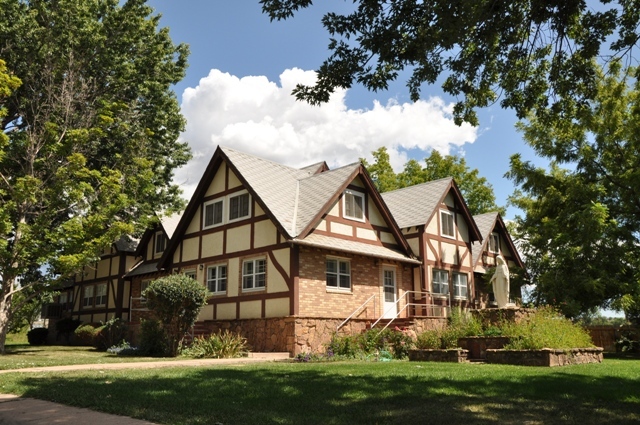 A two-story Tudor style home that the Nuns lived in when the Abbey was a working monastery. It has 15 bedrooms & can sleep 23, there are 3 shared baths & each room has a sink & locking door. The homes features include: a semi private fenced back yard, covered patio, propane grill, kitchen, living room with cable TV, small meeting area & wireless internet. Rent the entire house for your family reunion, retreat or gathering. RV camping includes use of “dump station”. Limited number of RV spaces available with electric. Additional camping space is available for RV camping, please contact us for details. Use of the fieldhouse/gym for overnight floor camping, includes use of locker rooms and showers. Limited availability.